Hop on over to Copper and bring the kiddos in their winter's best for 65,000 eggs and 2,500 acres! As part of the reduce, reuse, recycle movement, Copper encourages participants to turn empty eggs back in to be re-loaded for reuse in future years. 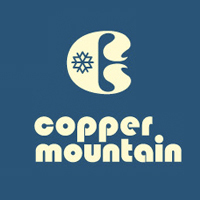 There are different hunts for kids of all ages from 3 and under in Copper's Center Village to adults in an on-mountain hunt for (12) golden eggs. Don't miss the Easter Breakfast–advance ticket purchase suggested.